One might imagine first the second law of thermodynamics or in the words of Yeats, Things Fall Apart (also the title of a book by Chinua Akebe). 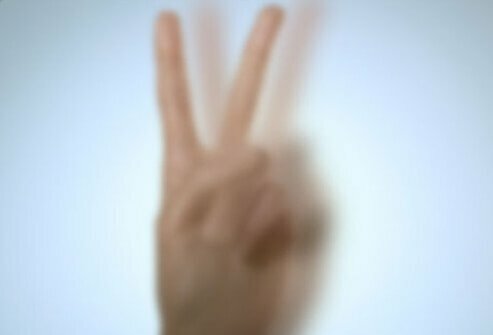 The simple statement of this second law is that in a closed system, entropy, a measure of disorder, increases. This led Stafford Beer, the father of Operations Research, to pose the definition of God as a source of negative entropy, i.e. a source of order. As you might guess, I could develop a theology of aging from the Psalms. But it has a real note for me - Tim Bulkeley of Sansblogue and The Five-Minute-Bible asked here with regard to my recent experience with prostate cancer whether I would comment on intimations of mortality that arise from the experience. It is a good question and I wonder if I can do it justice. I recall my earliest reflection on mortality. 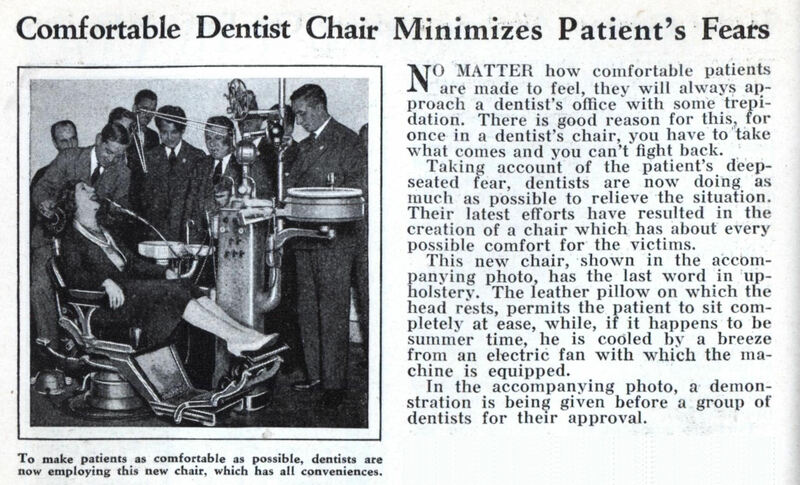 I am sure it was in the dentist's chair and was a tense response to pain. I suspect this is a shared experience. Nothing falls apart more successfully than teeth - if they don't fall out - and yet it is the dental record that outlasts our dust. Will I be able to eat when I am old? This morning I had an eye examination from a new ophthalmologist - and he said - take these pills twice a day to slow the macular degeneration. I also have creeping cataracts and a risk of glaucoma. Will I be able to see when I am old (if I get there)? (As of today some would deem me old already at 67). When I watch a poor feed on the French Open I cannot see the ball against the clay. When I watch an English and Australian mini-series on TV, I have to put on closed captions to hear some of the dialogue - and I do wish the actors would wear name-tags so I know who's who! In all these things the Lord and I have a quiet and sometimes loud laugh as the bits and pieces of my wonderfully created golem fall apart (Psalm 139). Near the mid-point of the Psalter is a poem, Psalm 71, with a whole section framed by old age. Here's the beginning of the section, verse 9. So how did the presence of cancer affect these thoughts? There is a certain definiteness to death, pace the Apostle's we shall not all sleep. But equally I follow the advice of the preacher (Ecclesiastes 8:15, 9:7) that I should eat and drink, and I am merry, but not for the desperate reason given in Isaiah 22:13 or the boastful reason of Luke 12:19, nor for the resigned aspect in 1 Corinthians 15:32. One can eat and must drink but a dour heart that takes no delight in the joy of the Lord is hardly a sensible option, even or especially when senses are failing. I am going to enjoy our two weeks in Scotland prior to the International SBL. In any case I dragged myself onward and wrote that book on the Psalter, not out of duress, but of continuing joy in the delights of the written word in the Old Testament. And the treatment for cancer was less onerous than the biopsy - and always there were angels present - but they probably were not aware of themselves. At the biopsy, when the urologist knew he must find cancer due to genetic markings that we had measured, he went deep and one by my side held my hand. Astonishing shared presence. She was so bathed in glory such that I did not recognize her 10 minutes later in the hall. y'all know that when God saw the light, he said it was good. So now I have this fiery proton laser stream in me for 5 minutes a day destroying the wickedness of my cancer - and healing the whole body as part of the everlasting covenant. Primal light - destroying and healing - some deal eh? And I am daily in a Star Trek movie with wonder-working seraphic nursing staff considering every tender move and aiming the gun of God's life-giving light-fire at me. Oh my breathing adjectives - tov tov tov. Madness, you say - yes, a holy madness, as David feigned when he was in the presence of the king Abimelech and he escaped as I have done. And he said also in Psalm 34, verse 9 Hebrew: taste (the same word as madness) and see that the Lord is good. God - tov - as at the beginning when the light was created. And Qohelet may tout the utter and total futility of it all, but such is what can be seen and there just may be the things that are unseen, the white fire that separates the black fire, and the ground that figures our being. Here's the end of the section of Psalm 71, verse 18. This poet had work yet to do, and it could not be done in a forsaken state. I am retired, and not all of me works as well as it used to, but there is yet work for me to do and I have not been cast off. You could call this the 30 minute Bible - but that would be to steal from the five-minute Bible! These sinister sounding words are the gobbledygook of cancer. Here is the study, the experience, and the decision to be made. When does one stop? For the past 21 months I have been contending with cancer. (For contention - see Psalm 35 - Contend יהוה with my contenders, and watch out for the negative aspects of one's own inner contention - Meribah, see Psalm 95). I had a Gleason scale 10 cancer of the prostate, a thoroughly deserving tumor. I see the doctors as the hands of God on my body. They act and learn as we all do - with the best of intentions. My oncologist, saying that I have done very well, has now put me back into the hands of my urologist. My tumor got the full treatment. Above a PSA of 10 (Prostate Specific Antigen) the cliff begins, a cliff that leads to bone metastases (and that's not Hebrew grammar where worship has a metastasized taf - a meso-fix.) I had a PSA of 30 - so I began hormone therapy or androgen deprivation therapy - and the PSA dropped rapidly at first then slowly to 0.1 at which point, radiation therapy was applied. I have written about this elsewhere. I had 37 days of laser light therapy in February to March. Before starting, scans were done and no spread of the cancer was detected. The deprivation therapy is a whole body treatment, so if there were bits undetected, they were probably also starved in the process. It takes some time to recover, but my recovery is well under way. We have managed a 7100 km road trip and several games of golf. I am back on my bicycle and we walk lots. I have even played a set of tennis. Now the PSA is down to 0.01. And will undoubtedly stay there for the next 6 weeks. The Degaralex 'suppression' therapy was applied monthly for 17 months. In the last few months it was supplemented by Cassodex. The final injection of the Degaralex disagreed with me thoroughly - fever, asthma, increased heart rate etc. So we switched to Lupron (on a three month dosage - allowing us more freedom to travel). These therapies make one liable to 'catch' osteoporosis, so along with the suppression therapy, other drugs like Zometa or Prolia are prescribed to prevent bone loss. One must take calcium supplements and vitamin D as well. I will never stop taking the vitamin D - it seems to prevent colds. I have had zero other health problems during this treatment period. Now here's the question - theological, scientific, and practical. There were tests done on the protocols for treatment of prostate. They are really primitive as far as data collection is concerned. There were two groups - those that intended to do what I have done - androgen suppression therapy for three years and radiation and those who did radiation only. Notice that word 'intended'. If someone in the suppression therapy group said after 0 treatments - phooey - I won't do this and did radiation only, he (yes it is he) was not moved to the other group but stayed in the initial group he was placed in. The suppression/radiation group had a 20% improvement in survival rate over the radiation only group after 5 years. So if 80% of the rad only group was alive after 5 years, then 96% of the sup/rad group was alive after 5 years. And many of them dropped out of the sup therapy after 0, 1, or 2 years - i.e. before the 3 year target. What is the optimum trade-off between the risk of recurrence and the risk of long term disability due to energy loss? My own opinion is that the less medicine, the better. Also note that it takes 6 months after the last injection (in a three month injection cycle, there's up to a 4 month dosage) to recover from the side effects. The first side effect is lack of desire (useful actually) and the second is lack of energy (debilitating actually). My next scheduled injection is July (some retention of the suppression component will continue until August even without an injection). So when should I quit? My next injection of Prolia will be in Sept if I don't quit. And it - well they all - cost money, but Prolia I have to pay for (granted that extended health coverage kicks in also). Book 2 begins with new language, new inscriptions, and a series of three laments which could be considered one poem. These psalms present a contrast of lament and hope from the experience of exile to the marriage of the king leading up to the security and beauty of the holy city. Psalms 42 and 43 are first person singular longing for the presence of God. They are often considered as one psalm. For most of the next two books (to Psalm 86), God is referenced as Elohim rather than the tetragrammeton. It is significant then that יהוה occurs once only in the central verse of the central strophe of the two psalms combined. Psalm 43 is a reminder of Psalm 35 (contend = strive, ריב). Psalm 44 is first person plural, a note (נוּ -nu = our, us, or we) that sounds 40 times in the poem. Psalm 45 introduces the bride. The poet intrudes in the first statement after the inscription. Psalm 46 introduces the city and promises a full destruction of weapons of war. After the opening lament, we are reminded of the roots of the tradition, and the beauty of the hope that it promises. Psalm 47 sings psalms of ascension and invokes the sacrifice of Abraham through the language of ascending (the same root as burnt offering). Psalm 48 reflects further on the City of God. Psalm 49 is a parable or riddle on the preciousness of ransom. Psalm 49 marks the end of the first collection attributed to the children of Korah. 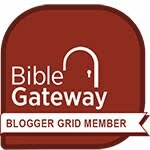 Psalm 49 is a cliff-hanger preparing for the summons of Psalm 50 and the tragic reality behind Psalm 51. We have just returned from a 7100 km book tour by car - really! Over the past month I have presented the ideas in the book, Seeing the Psalter, to high-school students, an adult education group, Hebrew professors, musicians, friends, and family. One comment on the book from the adult education group was - "this is the way that the Digital Humanities should be done". And we are about to go on another tour, this time to England. I will be presenting the book in the June 17th conference on Digital Media and Sacred Text at the Open University in London. I will also attend the SBL International conference in St Andrew's (after 10 days of touring Scotland - and hopefully a little golf on one of those remote links). 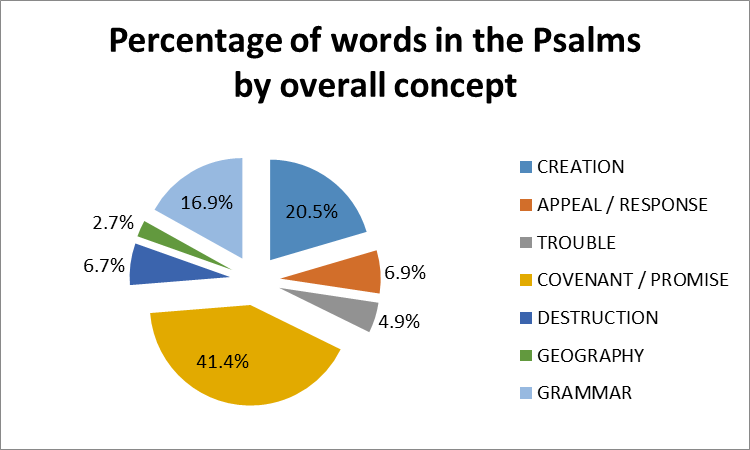 I continue to consider strategies for memorization of such a large corpus as the Psalms. The first strategy is a series of posts which I have scheduled every two weeks or so. There are five posts so far. The next 5 are scheduled and the remaining 5 are drafted. They concern a first strategy - remembering and recognizing the first phrase of the Psalm after the inscription. I am considering at least 3 additional strategies: framing, themes and stories, and of course singing. Framing is the focus of the book, Seeing the Psalter. As an easy example, the first time cymbals occurs as a repeated word in a psalm is Psalm 150. (And that's the only time it appears). Cymbal - tseltsel (צלצל) is an onomatopoeic word - it sounds like what it names. Themes and stories - that's complex. I have indexed over 80 themes in the book. And the coherence of the story in the Psalter will surprise those who think it is just a collection of poems. The frames and sequence are abundantly clear to the close reader. I hope to see more of these ideas make it into the memorization series of posts, without overlapping what I have already published and presented concerning the raw data, the poetry, election, and the words and their patterns, that are in the book. I recommend buying the book of course, not, however, for my sake, but for the joy that the psalms create in the one who mutters and studies them. If you are in London on June 17th and want to register for a conference on Digital Media and Sacred Text, I will be speaking that morning on Seeing the Psalter at the Open University - programme is here. For more information on the book see here. I will be speaking from a truncated version of this presentation. What is the Psalter about? I found it easier to convert this to html using Word 10 rather than Word 2013. The content of the graph was developed with Word 2013 and Excel. The Sky drive was unusable. Microsoft informed me that my password would be visible. This is not a step to inspire confidence. I played around again with my semantic domains in the Psalter and finally figured out an easy way to collect them into larger groupings. What is the Psalter about? just over 10% about trouble, appeal and response.